i can not find it!!!!!! Are there any way to hide the icon in task bar? No, and it's a good thing otherwise you will forget to close Tor. Installed the app. Ran this version till the bootstapper said 100%. I have tried with both the MS Dos box open and slosed. I tried to launch Firefox through the icon "FirefoxTorPortable" and nothing happened. Please help. Of course you must not close DOS windows and FirefoxPortable from this blog. You must have a PortableApps folder at the root of your drive and extract all portable apps without changing default paths of installers. You can't check or uncheck Tor portable launchers: only extracted if portable found. Is it would execute *Portable or just execute app executable (in App\*\)? *TorPortable launchers execute app executable (in App\*\) with specifics proxy settings. Oh thanks, I think you didn't including the source. Not sure if I'm doing something wrong. I downloaded "tor-0.2.4.21-win32.exe" from Tor ftp site https://www.torproject.org/dist/win32/ and place it in same location as Tor Portable Installer to see if it could pick it up from there, with no success. No problem for me downloading with installer. Installer updated to extract from tor-0.2.4.21-win32.exe if found in its folder. Now it works fine for me installing with "offline method". Thank you very much, Bernat. Still have the same issue. New computer, clean install. All portableapps running off os a USB 3.0 with folder \portableapps\ as the install location. I installed the new 0.2.4.22 version on the USB. I ran this version till the bootstapper said 100% in the DOS box. I tried to launch Firefox through "E:\PORTABLEAPPS\FirefoxPortable\FirefoxTorPortable" and nothing happened. Please help. New computer, new install, same issue. Running off of my E drive (USB 3.0). Installed the app with 0.4.22 until the bootstapper said 100% (Note, no Vidalia screen). Left the MS Dos box open. I tried to launch Firefox through the "E:\PortableApps\FirefoxPortable" and "E:\PortableApps\FirefoxTorPortable" and nothing happened. Please help. Tested with FirefoxPortable 30.0 from this blog. FirefoxPortable.exe should launch Firefox that can connect and store settings in Data\Firefox. FirefoxTorPortable.exe should launch Firefox but can't connect and store settings in ProfileTor. but it runs without problems on my other machine with XP/32bit SP3 (P4). I followed the execution with "Sysinternals Process Explorer"
Can you guess what's going on? Tested working on a clean Windows 7 64 bit. Just so others understand because I know I was quite confused initially. Just because you already have a running Mozilla Firefox on your pc doesn't mean this will work. 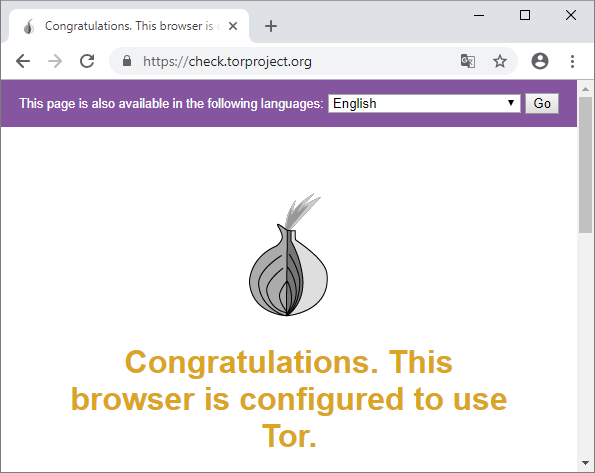 You need to install PortableAppz Firefox version, that way when you go to install Tor it will have the check for the Firefox version as it will be looking in the correct folder for the correct version. and the TPB PirateBrowser, and both runs without problems. for ppl that needs to quicly change of IP and without restarting the browser (Firefox). for all his great and wonderful work. FirefoxTorPortable uses its own profile in Data (ProfileTor). Read prefs.js and _FirefoxTorPortable.nsi in TorPortable\Other\Source\ to know what is done. This Portable Tor is outdated. No esta claro en que forma y en que carpeta va instalado. Podría explicar con ejemplo, gracias. It is not clear in what form and in what folder it is installed. I could explain with an example, thank you. Did you read this before? Did you create a PortableApps folder at the root of your drive? Diud you extract first at least one of these portables (Firefox, Opera, PaleMoon, SeaMonkey, Thunderbird & Pidgin)? Did you read all above comments? I have successful created a portable version of Tor + Firefox: thanks for Your work. It's possible create an installer of Tor for Chromium ? I have googled for 'Chromium with Tor' and found on Medium site. unfortunately I can not post related url (it's a https link). Thanks for your help, post updated. You have just to edit the ini file of the browser's launcher. 'tor-win32-0.3.0.5-rc.zip' is out (April 15, 2017). Your Tor installer works also offline? Online installer is also setup extractor if found tor-win32-0.3.0.5-rc.zip in its folder. Only Tor Portable is installed. This don't install tor browser but only Tor to be used with portable browsers listed. Then why 7.0.5 is needed to input? You must have installed before one of the browsers listed. Your launcher works also offline with 'tor-win64-0.3.4.8.zip' or I must rename it as ''tor-win32-0.3.4.8.zip' ? Without your launcher, it connects and keep open. Can you fix the launcher? How can I trace the launch failure? Maybe some wrong paths in launcher config? Try to launch with the above command-line in a DOS console. Nov 15 10:55:04.220 [notice] Tor 0.3.4.8 (git-da95b91355248ad8) running on Windows XP with Libevent 2.1.8-stable, OpenSSL 1.0.2p, Zlib 1.2.11, Liblzma N/A, and Libzstd N/A. Nov 15 10:55:08.407 [warn] Unable to open configuration file "D:\PortableApps\TorPortable\Data\Tor\torrc". Nov 15 10:55:08.407 [err] Reading config failed--see warnings above. Can you fix the installer? Maybe the paths in torrc should be inside ""? "Maybe the paths in torrc should be inside"
Read in torrc yourself: should be updated by launcher. Maybe the launcher should quote the paths hr put in torrc file? torrc don't use quotes and accept spaces. if TorPortable folder is in a path WITHOUT SPACES it works. Moving it to a path WITH SPACES make tor crash when reading geoip. Moving it back, it works again. The path is updated in torrc, noatter where I put the TorPortable. If the path has spaces, tor can't read geoip files. I try to quote manually the paths in torrc but the launcher unquote them before launch tor and tor still crash. Can you make TorPortable accept spaces in path? Or put a warning? NSIS sources in Other: you are free to edit and recompile. I don't have the tools or knowledge to fix and recompile. I thought that being able to work nomatter the used semantic for path will be an improvement for TorPortable. Expected paths to run my portables are described here. "Installer check if Firefox, Opera, PaleMoon, SeaMonkey, Thunderbird & Pidgin Portable is found in expected folders to extract Tor launchers and settings." If you don't use expected path there is no sense to use tor alone: you will no have Tor launchers and settings. and only for your curiosity, while i'm waiting to understand your tor portable, i use nice app psiphon.exe, fast, portable, free, simply wonderfull! but i want understand your tor project! sorry, but i don't have same result of your screenshot... on TorPortable folder i must have chrome folder? or viceversa? For Chromium based portable browsers folders don't matter. and i receive this message: "Sorry. Tor it is not in use"
if i run tor browser (download from torproject.org) this work correctly, when i check my connection on check.torproject.org i'm connected effectively on tor network...! Your error is 2 values for same entry AdditionalParameters: only the first (empty) is used. Delete or comment (; AdditionalParameters=) the first. Edit don't means add the line at the end. for Opera 58.0.3135.107 (64 bit) is necessary to edit OperaChromePortable.ini with additional parameters and/or use OperaTorPortable.exe ? How to works OperaTorPortable.exe ? Runs it directly Tor and Opera ? Opera 58 is launched by OperaChromePortable.exe and need OperaChromePortable.ini edited to use Tor. Opera 12 is not Chromium based and need to be launched by OperaTorPortable.exe to use Tor (launched by OperaPortable.exe without Tor).